Professional poker player and multi-millionaire Dan Bilzerian may look like he’s living the dream, but is he actually just a fake? The 36-year-old does not shy away from showing off his lavish lifestyle, complete with parties full of bikini-clad girls and mates in the form of Floyd Mayweather. Apparently, Dan, who’s worth a cool $60 million, once partied so, incredibly hard, he suffered two heart attacks as a result. His Instagram is certainly full to the brim of fabulous-looking women and snaps of Dan appearing to have the time of his life, but a poker analyst seems to think very differently. 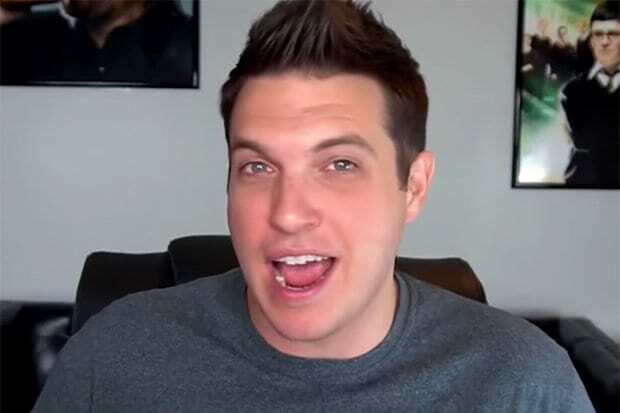 Doug Polk who runs a poker tutorial channel on YouTube called Upswing Poker, has made damning claims against the wealthy personality, slamming him as a ‘big fake’. Bilzerian swear he makes his dough from winning at poker matches, but after the analyst examined footage, he believes Dan’s skills are not winning material after all. He claims to have made all of his money from poker. Yet his dad made a lot of money, but in the 80s went to jail and was forced to pay a $50-60 million fine and only paid a few million. The money is missing and we just don’t know where it went. To get to his controversial conclusion, Doug trawled through footage of a poker match Dan live-streamed and set about picking apart his ‘so-called’ skills. All in all. I wouldn’t have said he played all that great. On the internet he’s a fish in the water. Other poker players seemed to agree with his cutting opinion, describing him as ‘awful’ and ‘terrible’, with another slating his tactics completely. He isn’t a great player. I don’t think a single person who knows the basics of poker thinks that he is a good player. But he is a godsend for poker players. The more he promotes poker as an easy vessel to become a millionaire, the better off we all are. Intriguingly, this is not the first time, Dan has been accused of faking it. After investigation, Vice claimed Bilzerian was ‘a beneficiary of – and party to – white collar crimes committed by his father’. Of course, according to the Daily Star, Dan hit back at these and again swore his riches were earned by ‘honest’ means in the casino and his Dad’s dodgy background had no part to play whatsoever. Whether he fakes it or not, he’s still got enough money to lead a damn good lifestyle, so I guess who’s laughing now? Is 'King of Instagram' millionaire Dan Bilzerian actually living a lie?